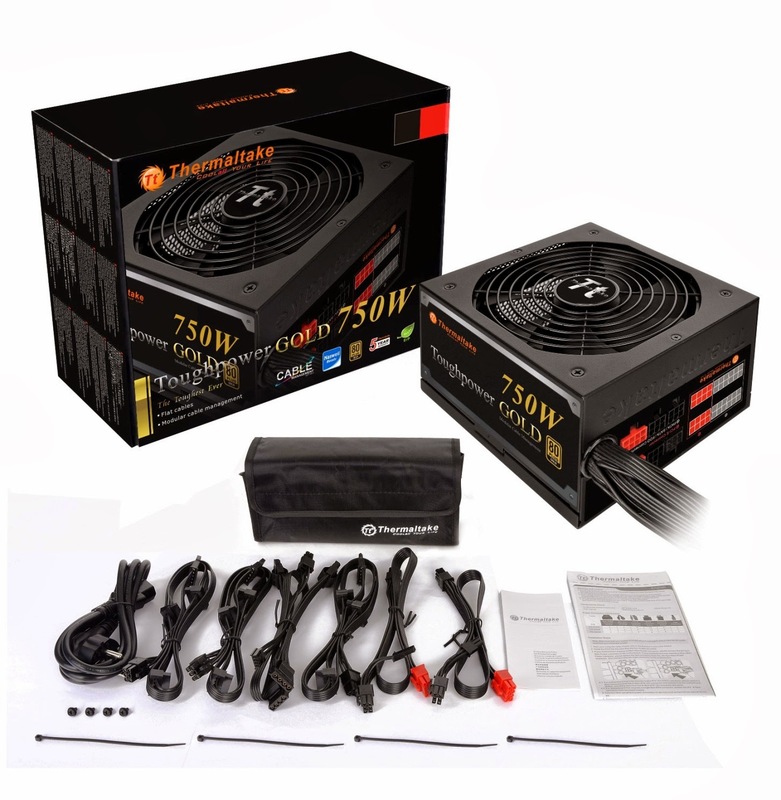 Taipei, Taiwan – February 27, 2014 –Thermaltake, being an industry leader in computer chassis, thermal solutions, and power supply units is pleased to announce its high performance power supply line – Toughpower Gold Series (750W/650W/550W). With the 80Plus Gold certification for its high power efficiency and a single strong 12V rail flexibly routes the maximum available power to your CPU and graphics card, offering maximized power usage and easy setup. Toughpower Gold Series comes with modular design to reduce cable clutter; and ultra-quiet fan delivers silent cooling, thus the entire computer and power supply can operate at its peak moment. Delivering up to 87%-92% efficiency under real world load conditions to promise lowest power losses. Toughpower Grand is also already prepared for the new Intel Haswell processors to achieve maximum energy savings. All new low-profile flat modular cables that not only improve the airflow path and ensure improved chassis thermal performance, but allow for effortless cable routing as well.